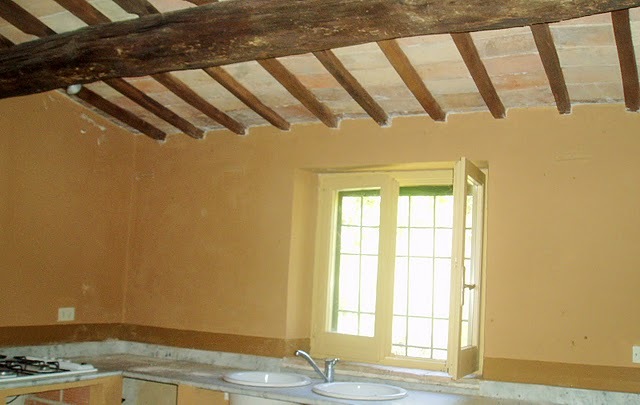 A really charming old stone country cottage for short or long term rental. 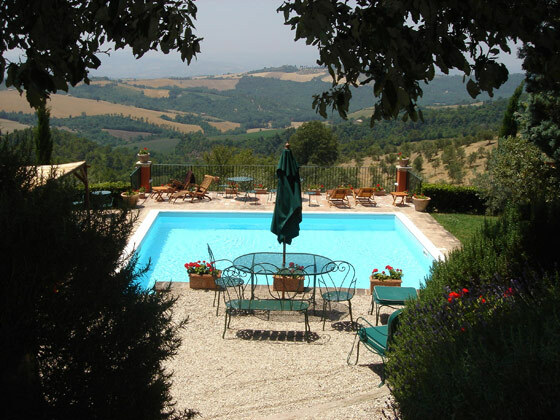 The property is set in a beautiful country estate with its magnificent villa run as an upmarket agriturismo amidst the green rolling hills of Umbria with Todi and Perugia only 25 km away and Assisi Orvieto and Spoleto just 40 km. Equi-distant from Florence and Rome, 2 hours. The country cottage is very spacious and bright and has a lovely ambience and very welcoming with its honey and cream tone walls and green shutters. Perfect for writers and artists with a great sense of tranquility. 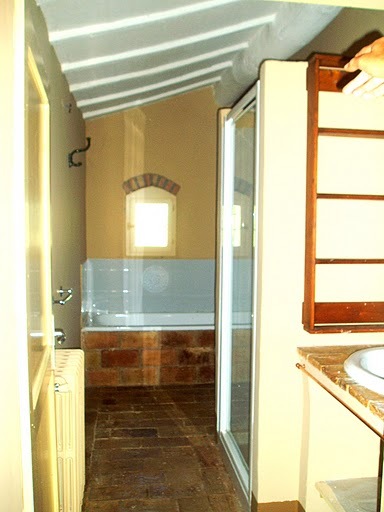 All throughout the cottage are the wonderful beams and original beautiful coloured cotto tiles. On entry a wonderful large square reception room greets you. to the left there is a bathroom with shower. To the right you enter the large square lounge with fireplace and separated by a square arch is the dining room. The lovely large new fitted kitchen follows next via a door. The kitchen also has a fireplace for cooking. An access door to the garden leads from the kitchen. Taking a flight up the beautiful wide staircase to the first flloor, you will find a large room with fireplace, ideal as a studio or study, with a window looking out onto the glorious landscape. ADSL is available. There are two spacious double bedrooms, full of light leading from this room. On this floor you will find a further bathroom complete with bath tub and shower unit. There is access to the garden at the rear of the cottage from a door on the first floor via some stone steps. Naturally, the cottage will be furnished to a high level. A pretty garden with shrubs and trees completes the picture and wonderful views of course, surrounded by olive trees. A small attached stone annex holds the central heating unit, boiler and laundry room. 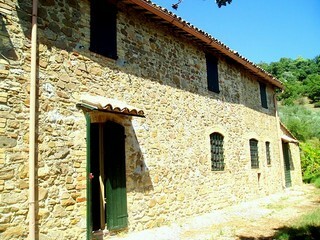 It is also possible for renters to use the beautiful panoramic pool of the Agriturismo.